This is such a beautiful look! I love navy blue and pink together! Love this color combo and your hair looks gorgeous! 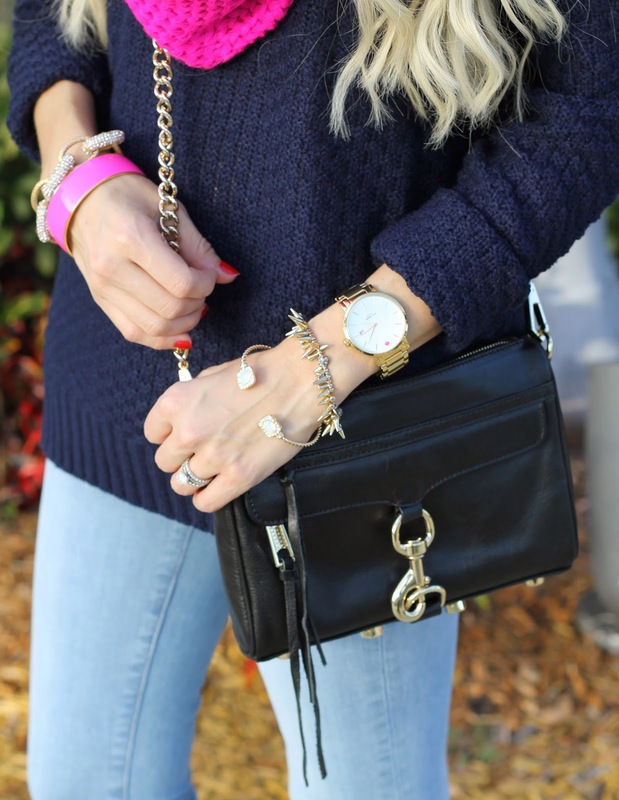 Love the pop of pink in your sweater! Love this! I want your scarf! LOVE this color combo....so awesome! So cute! I LOVE navy and pink together. And I am especially loving the combo back to your light wash denim. You are the cutest! Easily my favorite color combo. You look fabulous! Love the pink scarf! Love that scarf, is so bright and pretty! Makes a fab pop of color! Love the match of lipstick and scarf! It looks so perfect! Gorgeous!! Your hair is always so perfect!! This color combo is beautiful!